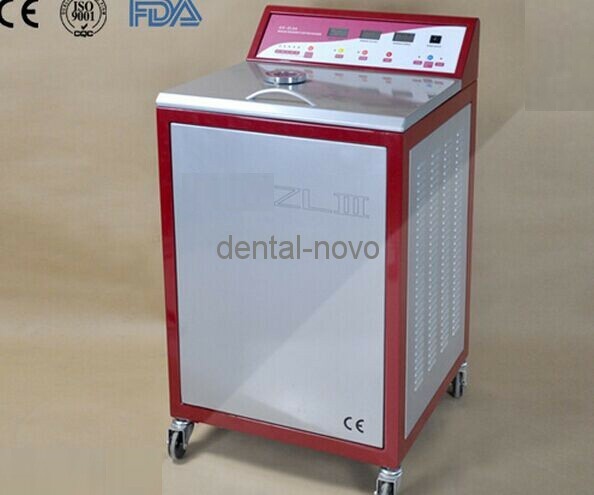 dental laboratory equipment for casting dental alloy in dental lab. This unit be used with most dental alloys except titanium. 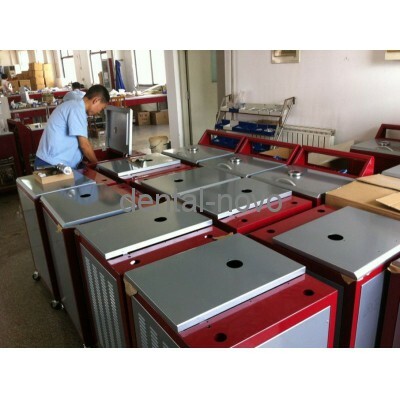 It can be used for casting partial frameworks as well we crown and bridge. 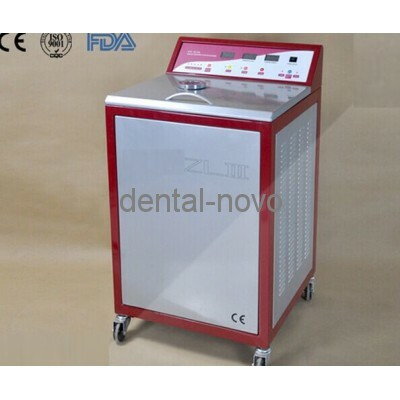 The LAB-AL3 Intermediate Frequency Induction Casting Machine ( dental laboratory equipment ) is upgraded from the High Frequency Induction Casting Machine, it has the following advantages. 1. Highly efficient, low power consumption and low power rating (2.5kW) thanks to the advance all-transistor circuitry. 2. No preheating is needed, melting and casting can start immediately. The interval time between two castings is only two minutes, excellent for continuous casting. 3. It can work under 220V/110V voltage. 4. Safer and more reliable thanks to the low working voltage and low high-frequency radiation. 5. Compact size and lower weight.